Why Hotel Technology will be Travels “Next Big Thing”. For some time hotel technology has been limited to online booking. With so many Hotels out there what will be the differentiator for both the leisure traveller and business traveller? It’s time for hoteliers to embrace tech and step up the game. However, these functions are becoming the norm and the next-gen hotel needs to become a “smart-hotel”. 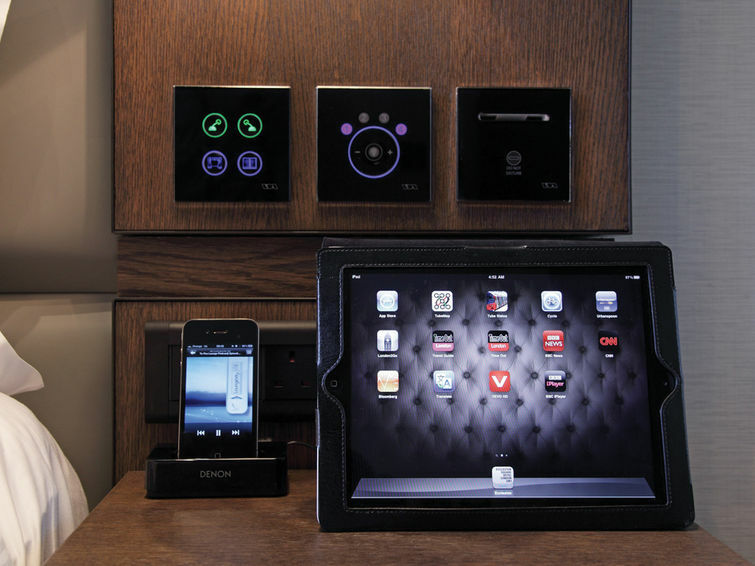 In addition to “basic functions” the “smart-hotel” should add power features. These are features that make the hotel experience better for the consumer, especially the time precious business customer. Let’s start with always on, free Wi-Fi web access. There is no excuse for any hotel to charge for broadband – Even McDonalds restaurants and Costa coffee houses, now provide free Wi-Fi. I won’t even book a hotel unless I can guarantee free Wi-Fi. I make sure at check-in that it’s available in my room and throughout the hotel. If not, you won’t find me booking again. OK, sometimes it’s nice to be able to chat to the reception crew but most of the time, and on a repeat booking, you arrive at the hotel and just want your room. Imagine being able to check-in remotely from your mobile and get an update when the room is ready and your electronic NFC or barcode key is ready. The Holiday Inn Express Hotel & Suites in Marion, Illinois has enabled guests to “breeze past the front desk and head up to their room as long as they have their mobile to unlock and enable the room”. This uses a tech from OpenWays (http://www.openways.com). This provides a Crypto Acoustic Credential (CAC) using text messaging to deliver a unique acoustic key to the guest anywhere in the world. The good thing about this tech is that a CAC compliant door lock can be retro-fitted to many hotel electronic locks. In the last hotel I visited, neither the TV nor the remote worked. I could not order movies or room service (there was no phone you had to use the TV). So, why not pop up a mobile page on your phone using NFC or post your remote check-in to order room service? Consider the upsell opportunity here as the mobile site shows me the delights of the room service menu in glorious Hi-Def and tempts me with side orders and beverages. Alternatively let me pre-book dinner and my selection? Why not show reviews of each course and better still show me any peer reviews. Downloadable movies and (free of course) and TV channels could also be facilitated to my mobile or better still via the room flat screen TV. A relatively new app on the scene is the iRiS app (http://www.irisapps.com/). This ingenious app enables the guest and hotelier to communicate in any language and offers the guest many enhanced features such as setting room temperature, opening the door, closing curtains and set the mood lighting. This is a cloud based facility so that the guest can set the room temperature while they are out and about and also make spa or golf bookings, or order a meal. The hotelier, on the other hand, can push real-time offers and discounts to the customer and also ask the customer to fill in a questionnaire: all from their mobile. What else will we see changing our hotel experience? With a mobile enabled hotel, we should be able to review our bill each time we buy a drink or book a service with the ability to pay from the mobile. Should you wish to call the front desk why not offer Skype or other network calling capability? Genius, but simple. Hotels need to offer a more personal experience where the customer’s preferences are remembered for each visit making the customers life as easy as possible. The hotelier can then harness the power of personalisation to send personalised offers. I recently had a call from a hotel I regularly use in London. Their room rates have skyrocketed and I was politely asked why my bookings had tailored off. If they had checked my history they would have seen I only book when the price is reduced. All they offered me was a direct contact for my next visit. I may not return unless they do something drastic with their rates! A great mobile experience could be just the bate I need to return. So, smart-hoteliers need to ensure they have enabling technologies for many of the things I have mentioned above. Why not also provide QR codes for the guest to scan to read magazines, info about the hotel? Oh, and let us not forget, all this smart-tech must work on iOS (iPhone, iPad), Android, Windows Phone, and Blackberry. This article originally published in Travolution magazine Q3 2013 http://www.travolution.co.uk/. This entry was posted in Mobile, Tech, Travel and tagged gadgets, holiday inn express, holiday inn express hotel, http://www.irisapps.com/, technology on August 27, 2013 by Jon Pickles. What Smartphone APPS can I not live without? I do a lot of consultancy for companies reviewing their mobile apps and making recommendations for enhancing their mobile apps. I have been a smartphone user since the very first Nokia Communicator (9000) released in 1996. I have moved between devices as more and more features are released and having gone through all incarnations of the iPhone and Android I now find myself with a Samsung Galaxy S4. Am I happy with it? Well, no not really as the problem Android has over iOS is that it is often disjointed and cumbersome. Switching between apps is somewhat manual unlike iOS’s seamless experience. Anyway, that is not what this post is all about. Google Calendar – If any of you have used Samsungs calendar app (S Planner) you will probably hate the faux leatherette brown and yellow user interface, the cumbersome calendar appointment editor and the inability to sync with anything else. So, go to the Play store and download the stock Google Calendar app. It just works and also beats the iPhone calendar app for ease of use – hands down. Google Chrome – Ditch the standard Android internet app or the iPhone Safari and grab the quickest most easy to use web browser, Google Chrome. Not only is it a doddle to use but its fast and syncs with your desktop so you can pick up where you left off. You can also read offline pages and do a host of other things with this outstanding mobile browser. This entry was posted in Mobile, Social, Tech and tagged apple, gadgets, mobile apps, nokia communicator 9000, taxi cab, technology on August 5, 2013 by Jon Pickles. There is so much hype about mobile and how Internet access via mobile will outstrip access via PC year on year. I recently heard that in 2013 70% of all Internet access would be via a mobile. However, is this because peoples habits are changing or is it because more phones have internet access via apps such as Google now, facebook and twitter and that the increase is due to people using those apps via mobile and not anything else? I’m an early adopter. As such I buy and test mobile/smart phones, tablets and phablets. My testing consists of real life testing so I port my entire online life to the device and actually try to use it. The most common issue I encounter is that of battery life, closely followed by trying to get connected to the internet, and issues with the small screen real estate and app lag (where you click the camera app only to have to wait for the app to launch and miss “the moment”). Some examples: I tested a Galaxy S3 and then the much hyped Nokia 920 Windows Phone, on EE’s 4G network no less. Both are great phones, and both many times more powerful than the desktops of the 80’s and 90’s. Whilst I loved both phones aesthetics they fell well short of the functions for which they were intended. My unplugged working day starts at 06:00am. By 16:00, both phones would be out of battery. If I received a phone call on either device it would eat battery (even if I did manage to answer the call – the Nokia would regularly fail to ring or respond to my swipes of the screen), the same issue with the Galaxy S3. The Nokia’s camera, whilst excellent for images, had so much lag that nearly every moment would be lost. The next issues were not device specific, however. Even in London with Wi-Fi on I could see Wi-Fi hotspots but invariably they would be locked down or require the BT app to get onto them. The smart phones would then refuse to switch to 3G or 4G mode as an alternative and so I would have to turn off Wi-Fi so I could get Internet access. Smart phone? I’m thinking not very smart! As a regular user of Hailo, the taxi-hailing app that is invaluable for today’s weary traveller, that app like so many other apps, requires downloading of maps, gps positioning and heavy dependency on images to show the cabs location and an image of the driver. What use is this if I am unable to get data access to download the maps and cannot get a gps location because I’m in central London with the gps fix hidden by tall buildings? Even in South Kensington I failed to get data access and a gps fix and so hailing a cab the traditional method was in order. Hopeless when you have no cash and rely on the Hailo app managing your payment for you. Cash is so yesterday (or is it?). So, what I am getting at here is that whilst I can see a natural increase in web access via mobile I believe that this is only happening because phones automatically need data access for the modern social apps and email. I don’t feel that users are putting down their laptops and picking up the phone to do investigative searches and comparisons. Yes, I might pull my phone out to scan a barcode to in order to look up the price of a CD or gadget on Amazon whilst standing in a shop. Yes I might book a last minute hotel using location-based search, but in the main my investigative browsing is done on my iPad or laptop. Using the iPad or laptop, I can sit in front of the TV and surf with a usable screen real estate and then make my bookings from there. What technology companies and also businesses, need to do is think about their user journeys and work up a comprehensive set of use-cases. Think of mobile as complimentary rather than a replacement. Don’t try and convert your media-rich online booking web site to work on mobile. Think about enhancing your proposition and the user experience by using mobile. Consider the other (often less used) features of the smart phone: location-based-search, social and add-on ancillary products that can only be bought when you arrive at your destination (in-destination). Think about payments using NFC (near field communication) and how we might replace cards and PIN numbers, tickets and bank transfers. Here’s a poor usability scenario that annoys me every time. I use thetrainline.com a lot – a real lot! I book the train a few days before departure date and get the best possible prices (a first class ticket for the price of a second class ticket for example). I make the booking. I then download each journey as a calendar item so that I can get a reminder of train times but also the ticket collection code. I then drive to the station on the day of departure. I park my car. I pay for car parking using APCOA connect (using the phone and my mobiles valuable battery life). I then find the ticket-dispensing machine. Queue for 10 minutes, put my credit card I used for the tickets into the reader. Remove the card, type in the ticket collection code (on an irresponsive touch screen) and wait for my tickets to print. Each ticket is accompanied by a seat reservation, plus a collection receipt. So that’s 5 tickets/bits of card to carry and potentially lose. This is a farce. Why not let me have the ticket on the smart phone so the guard on the train can read a barcode? I hear Virgin trains are doing this but there are no Virgin trains on the South West route. Then again, thinking about smart phones and their lousy battery life: what if all this were on my phone and the battery died? It’s not just about the mobile/smart phone. It’s about function, and the infrastructure that surrounds us. If you have no battery or if there is no easy web access then the whole mobile concept is flawed. We also need to consider roaming charges – until it’s a flat rate or even free, then even location-based functions are useless. Beautiful conceptually, but functionally impotent! I have the desire but just can’t get online! So, what do I do to get over this – head for my nearest McDonalds to get free wireless internet access and suffer a McDonalds cappuccino – a small price to pay and hey, I’m willing to sacrifice coffee quality for free internet. In conclusion? Before taking the plunge into mobile, consider function and spend a few days working through use-cases. What will your customers really do with mobile? If you do go for a mobile strategy then consider how can you facilitate the mobile experience either at home or post departure. Do your hotels offer free wireless? If they do, is it a priority for the hotelier to keep it working: I have been to many good hotels whose wireless is flaky at best and often offline. Ask yourself this question: will my customer really access my web site using a mobile or should we spend that money on a supporting mobile solution? Be prepared to test mobile. Offer customers a free mobile or SIM (there are many fixed price Europe SIMS now that you can offer) to use on holiday and then get their feedback on their experiences. 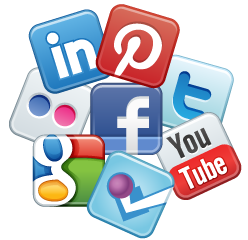 Test Social and consider how you might use it to socialise your customer’s experience. Consider pushing out mobile accessible customer satisfaction surveys making it easy for the customer to complete whilst waiting for their flight. Get their reactions while their experience is fresh in their mind. Above all build a mobile strategy – it’s not just about putting your web site on mobile! This entry was posted in Mobile and tagged early adopter, gadgets, mobile, technology on June 7, 2013 by Jon Pickles.